Your thigh bone, or femur, is the largest bone in the human body and as such is also one of the strongest bones in your body. As we age and conditions like osteoporosis set in, your bones begin to weaken. 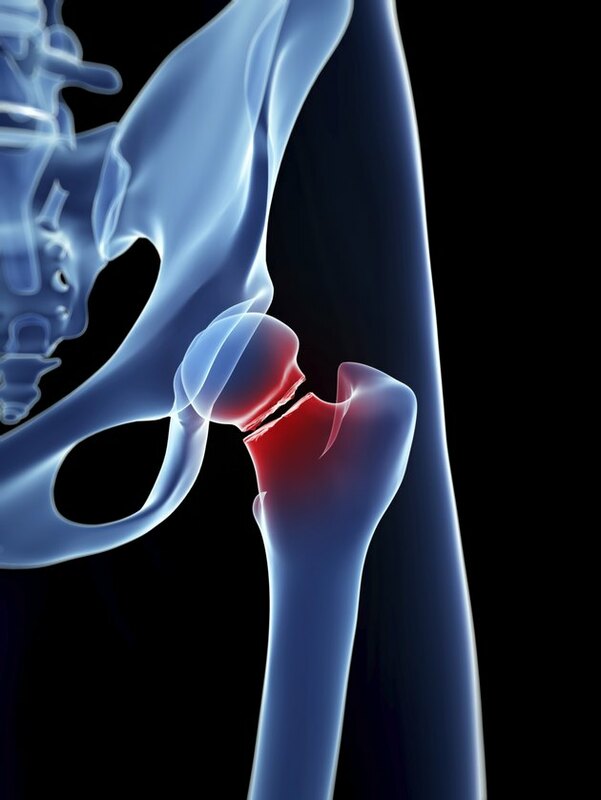 A fall can break the top portion of your femur, resulting in what is colloquially known as a hip fracture. Treatment for this condition often involves exercises to help you return to your previous activity level. Following a period of immobilization to allow your bone to heal, your physical therapist may help you with strengthening exercises. These involve moving your hip and knee joints against resistance to restore the strength to your hip and thigh. The exercises often begin with simple muscular contractions to get your muscles used to working again and progress to exercises using your body weight as resistance. As your condition improves, your therapist may instruct you to begin using resistance bands, free weights or weight machines to increase the resistance to your muscles. These exercises can begin with a partial squat or exercises like quad sets that contract your thighs and press your knee into the bed. Range-of-motion exercises include, but are not limited to, those that force your hips to flex and extend. The goal is to improve your ability to bend and straighten your hip following your injury. While your therapist may measure the amount of movement in your hips, you may also be instructed to perform kinetic chain exercises that work your ankles, knees and hips through their range of motion at the same time. These exercises include bending your knee and hip joints back and forth, and moving your leg out to the side and back to the center of your body, to name a few. Stabilization exercises are performed to help restore balance and strengthen the muscles surrounding your injury. You may be instructed to perform core stabilization exercises like bridging exercises that help strengthen the musculature around your hips to hold your hip in proper alignment, as well as the muscles of your abdomen, thighs and knees. To perform a bridge exercise, lie down on your back, lift your hips off the floor and support your weight while forming a straight line from your shoulders to your knees. These exercises help restore confidence in your strength following your injury, while simultaneously helping to restore balance and sense of body awareness. Because a hip injury can negate your ability to support your body weight when standing, your therapist may instruct you to begin exercising while standing chest-deep in water. The buoyancy of the water helps support your body weight to allow you to perform exercises that might be too painful when performed on dry land. Another benefit to exercising in a pool is that the water provides resistance as you move your hip and leg through their range of motion.